clad in the light of a pole star, piercing the darkness of time. “do you know, arnav, there are so many things i want to tell you. i can’t say these things, i must believe, yeh zindagi humari hai, achhi hai, hume yahan jeena hai. yet why is it that my heart wants to tell you everything? everything? really all of it? the fears that refuse to leave me. that old sadness i don’t look at. and tears, all the tears… it’s strange how much of tears a little girl can have, even after all seems to have flowed. why, arnav, why did it all happen? why me? and tears, all the tears… it’s strange how much of tears a little girl can have, even after all seems to have flowed. i know this is a silly question. i have asked devi maiyya many times and she looks at me with the kindest eyes. i try to find all my answers in that, i try to forget everything… just hold her close and forget it all… and my stars… my vishwaas, there they are humari amma aur babuji… i suppose some things can never be explained and if devi maiyya thought this was what had to be… i’ll just accept it. did it have to be another accident? did i have to see you being hit by a bus on the road? why, arnav ji, what have i done that i have to see this? “shh. sh… sh. khushi? khushi? i can hear you always… hamesha. always. remember? i hear everything you say, even those you sometimes don’t. i hear your rhythm, your cadence, your breath, the hush of your lashes falling across your cheek, the stir of your touch, the hope in your smile. i hear you in my heartbeat. and i hear the tears drenching your heart. the ones you hide so you can live. the ones you use to make others happy. the ones with which you feel me through all my harsh words and anger. you don’t have to tell me. i know. don’t you know me, khushi? we are never away from each other, are we? why does a sudden wind rustle the waters on a still night? why does a name feel like life itself? why are some things impossible to understand or explain yet they are there, they did happen? why do we search so much to find so little? and why does so much find its way to us, just like that? what is this thing we call love, mohabbat, pyaar, ah love? is it real? is there any proof of it? how do we see it, touch it, feel it? where does it live? how long does it live? is it real? is there anything real except love? 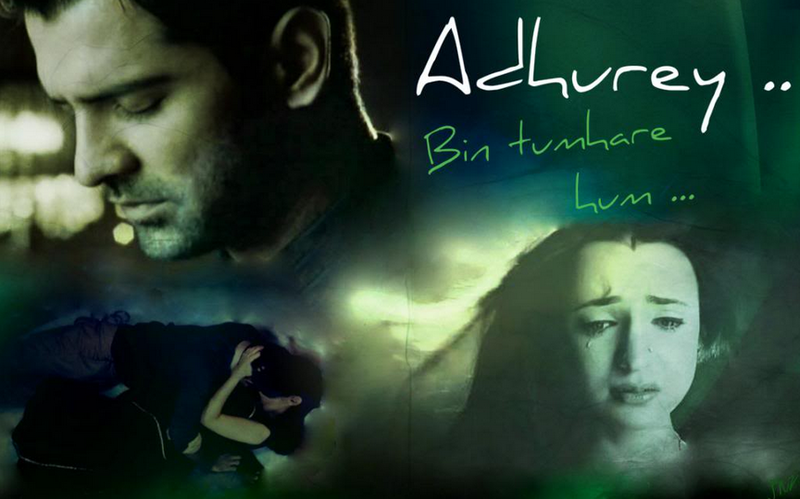 rabba ve… rabba ve. anjali sat with a dazed look on the faux leather upholstered waiting area chair. why were hospital decors so cold and matter of fact, when nothing that went on in hospitals were of that nature? desperation, love, hurt, fear all around, sometimes a tiny ray of hope. but to look at the metal and plastic furnishings, the cool flat walls, you’d never know there were any feelings around here. no feelings. coming up in the lift today, the lift man had been so rude and aggressive. and he scratched himself, blithely unaware of the crush of people waiting to somehow get out of the stuffy elevator and reach their patient. maybe a father, a mother, sister, friend, who knows. he didn’t care like these walls and chairs, sickness and death had become mere business, the day’s routine they were, and he was just tired of these people who thought nothing mattered more than their patient. 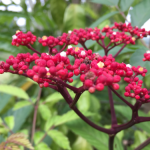 she started to feel sick, physically; a bowl, a something, did someone have…? anjali’s hand was trembling and cold as she held payal’s. akash had gone to collect some medicines at the pharmacy, payal wished he’d come soon as she stroked anjali’s hair. what was the best course of action she wondered. di was fragile, and the past weeks had been hard on her. just when she was beginning to feel a little calmer about things. she’d started taking active interest in ar, and joined the post graduate executive programme at the faculty of management at delhi university. she was doing everything she could to give shape to her life once more. once built around only her love for her husband and all the hopes and dreams of their marriage. that’s all. after meeting shyam, anjali had let her other bits submerge, settle right at the bottom. she had so much, why should she want more? she had someone who loved her despite her shortcomings. her limp, the day to day demands of a physical handicap, and that terrible broken wedding. no, she would take care of this man, he was the centre of her existence. a sharp, intelligent girl decided her personal ambitions, her flair for business and such things were really not important. what mattered was shyam. her every fear of loss was crystalised in that emotion as she turned almost full time to prayer and religious observance seeking the blessings of the almighty in preserving this happiness. payal had sensed the potential strength of this woman the day shyam’s truth came out. a steel she had associated always with arnav ji, came into his elder sister’s eyes. then she ripped out her mangalsutra. in one stroke, just like that. payal had gasped audibly; wasn’t this the woman they’d all felt, especially khushi, was too weak to handle the truth about shyam? that very mangalsutra had almost come undone once long ago and how she’d panicked, as a result of which khushi had kept mum about the deceiver… and all that happened afterwards had happened. payal sighed. she remembered how minutes after hearing shyam was not only after money and nothing else, but had himself killed their child, anjali gathered herself and struck back. even as she spoke, anjali crumpled, her face was buried in her knees, she seemed to be losing consciousness. vijay verma looked back into eyes growing desperate, and he remembered another pair just as dark and intense. intense with belief. nancy, why did you believe so much? miss raizada had a husband, so he was right, he could sense there was a man in her life. “no, payal ji, it was a woman… but i know on whose behalf she called… it was no accident, payal ji… no accident,” her lips quivered and at last it became impossible not to cry. her little brother, her chhotey, her papad ka tukda jab dekho ukhda, the one who trailed after her as she hobbled along, never pushing her or trying to overtake, always over protective of her, fighting with anyone who dared to call her names, who had always taken care of her, someone wanted to hurt him. no no no. no. never. payal sat down, what would they do now, this strange terrifying knowledge. where was akash? why was he taking so long? what should they do? what would they tell khushi? khushi? payal’s breath almost stopped. how would they tell khushi? should they tell her? wasn’t it better to just let it be? khushi wouldn’t be able to take it… not this… her thoughts raced. the door of asr’s cubicle opened and khushi came out smiling. he was breathing, he was warm, somehow she never felt bad when she was around him. that night she’d stayed up when they thought they hated each other, even that night she’d been happy because he was there. even when he’d been khadoos and rude she’d wanted to take care of him, hold him. ajeeb. that’s what. ajeeb they were. again she smiled. but when her eyes fell on the three people huddled together, somehow she knew she would have to face the next thing. the time had come. it had not been easy. his first time back in lucknow after that day with chachaji, he and di being thrown out of their home. maa gone. a deep breath. the thoughts disturbed him. it had not been easy. how was he ever going to feel alright in these corridors, these rooms, this whole place? sheesh mahal. no you are not mine, you never were. you belong to the darkness. to the abyss of no return… your walls wrap around my mother’s scream and a gunshot. whose hand was on the trigger? another long deep inhale and a controlled exhale. he had done what he’d said he would, promised in fact. chacha ji and his careless, ceaseless spending on the “good” life had necessitated first turning the usurped sprawling mansion sitting amid 40 acres of land with manicured gardens and orchards into a hotel. soon enough, that too wasn’t enough, finally sheesh mahal had to be mortgaged. that was just the chance asr had been waiting for. now this sprawling mansion was his. his eyes grew dark and opaque, cacao 90 %. there was not a trace of joy at the thought. just a chilling sense of winning. power. power that only money gives you. and money doesn’t come easy. sounds he didn’t want to hear were echoing in him. too many memories. why were they all so difficult? an image of a pair of trembling full lips cut in out of nowhere. that girl. who was she? why was she on his mind? he really didn’t give a damn for such girls. a ridiculous waif like creature with really strange clothes… were those pompoms hanging from her sleeves and plait? he grimaced. she was falling back about to hit the ground, he felt a strong desire to reach out and catch her. stop the fall. he had to get away. he ended the call, thought for a moment, then a half smile… almost. he dialed again. the response to this announcement amused him, it seemed. clearly, he had won again. 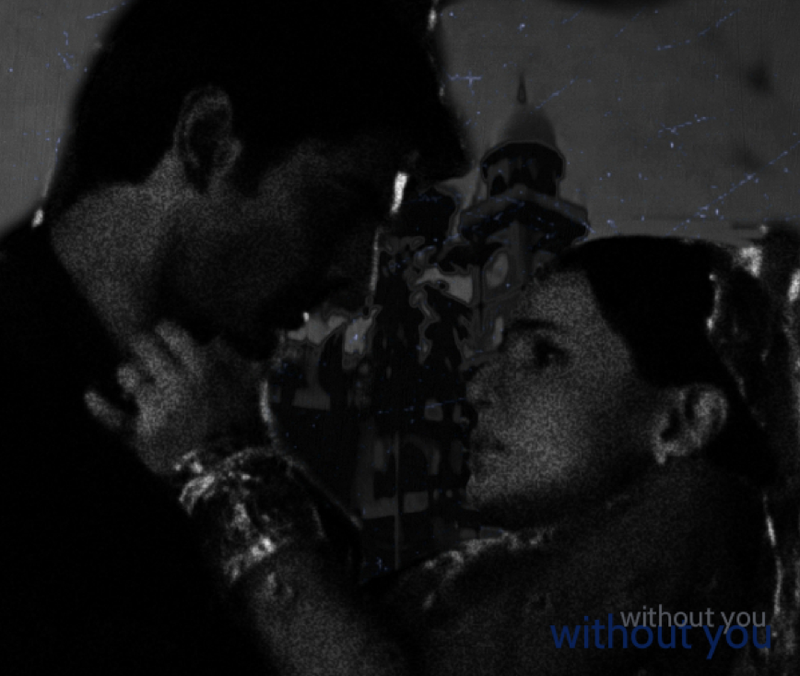 “that horrible man, devi maiyya, why do i keep meeting him?” khushi was before her dearest friend and protector again. the day had completely thrown her. after she fell down, finally the lucknow bystander who’d been watching delicately from afar had come running. suddenly, a whole crowd around her… muttering, murmuring, but since she was a girl, keeping their distance. she was hurt, her palms were grazed, and when she suddenly saw a leering man just inches away from her face, she screamed. but she didn’t have to say much, a hand appeared from behind the man’s head, caught him by the scruff, lifted him off the floor and threw him on the ground, away from khushi. khushi looked up agog. now what. “are you ok?” asked the stranger. he carefully picked up the dupatta and handed it to her with the utmost respect. khushi was too taken aback and winded by events to say anything. she noticed as she took the dupatta, he wore a bracelet with a big chunky phiroza… what a pretty colour, she thought. and she had heard buaji say turquoise was an ancient protection amulet, it was a symbol of wealth, it cuts the evil eye and brings good energies. the man saw her eyes on his bracelet and smiled slightly then he turned to the goon now sitting up slowly and said, “hum lucknow ke hain… streeon ke saath iss tarah pesh nahin aate…” we’re from lucknow, we don’t treat women like this, at last khushi began to feel a little more like herself. he bid the rest of the crowd to leave as there was really nothing to gawk at, and then with a “if you’re fine, i’ll take your leave,” he walked away. khushi looked at her aunt’s considerable girth, and couldn’t suppress an impish grin. time… time… yes, thought khushi… mustn’t waste time… and opportunity. buaji was here, she would be leaving in a couple of days… what if… what if… khushi jumped up and went to the kitchen as bua ji smiled in relief. khushi smiled in triumph. then made a face again… and you, she thought, arnav singh raizada, in delhi i won’t have to see your khadoos face again. understand?!! DO YOU UNDERSTAND?!! hoonh! Sigh! The creep had so much potential. He started out so nice. i could almost admit to a certain fondness for him in the beginning. Love your interpretation of the original story line Indi. You are keeping the essentials, just tweaking them enough to make them all yours. Yep, she is going to show him that she never wants to see his face again by going to Delhi. Laughing. That is exactly what she had done in the show… Doing her best to stay away from him, all the while drawing even closer. P.S. Oh and the ‘Hi’ in the last chapter… a la Shagun episode… kya boloon ab? Haila… You dont reread? Come and take a seat, my friend, and let me tell you why I do. Laughing. Firstly… the first time round, I am almost always focused on the protagonists… as much as I enjoy the development of the plot… I am also rushing to reach their happily ever after. Secondly, I love to experience, or rather revisit what I experienced when I read a beautiful story… If I loved it the first time… why wouldnt I love it just as much the second time… There is no mystery there anymore, but then I am not reading a mystery… am I? Thirdly, and this might be unique to me, I admit to having a less than perfect memory… Laughing. I forget details… and it’s almost like reading a new story, but with the knowledge that I will surely love it… Did all that make sense? I actually think the creep was ‘not bad’ in the beginning… I think he just surrenders to his dark side… Beyond a certain point, it was all down hill for him… Then they just started piling up every bad thing they could think of, on him. For example, I could never understand, how killing his own child, in any way, advanced his cause. Laughing. I mean… he loses it… completely. I do so love to talk apparently. P.S. I am not familiar with either pj or fatta… tell me more. sam, what a brilliant picture of why we reread or rewatch or rehear… yes, the story line, what’s going to happen, where is it headed, gets me first too.. then all the other things come ito focus in layers and make re anything fun. i watch ipk again and again and get that now. just that i never reread. don’t even know if i am a natural born reader type or i read because one could. my biggest crib with me… i don’t read at all these days. as in books, novels, even non fiction. concentration, nil. strangely, i read all sorts of things on the net all the time, but that sitting with a book and just getting absorbed. hasn’t happened in too long. the killing of his own child… and the method adopted. obviously writers had lost it. the pressure for trp breaks the spirit, i get the feeling. also yes, that killing will never ever be fully processed by my mind. it was bizarre beyond belief. unforgivable of course. ipk lost its elegance, its depth, as we went along. asr and khushi were the only reasons i watched after a point. addictive those two. dimaag had to be forsaken for the dhakdhak. pj: way back in the last century, school kids rolled with laughter at silly jokes and we called them pj. poor joke i think is the beginning of that acronym… long before lol there was pj teehee. for some reason, my uncle would say it means paul james, or peter james or something, don’t even ask me why. fatta: utterly slang. think it means just a gag or a silly thing someone says.. a sense of nonsense in it?